The fact that this mac and cheese blend is baked with melt butter and milk should tell you something about the unique taste and flavour this can deliver. The meal is creatively prepared in a way that fascinates and causes obsession. It is most famed in my house as a stand out dish for special guests. Nothing quells cravings like this crispy baked bite that is decorated with hearty and less fatty vegetables. The recipe is more of legumes and beans, thus full of protein and fibre. What more would you want? A bowl of roasted tender eggplant blended with creamy tahini sauce and pine nuts, and served over stewed lentils creates a memory that doesn’t fade like a fuzzy dream. More so, the mix is fresh, crunchy, rich, yummy and zesty… something guests can easily give into. It is not likely that I am completely satisfied the first time I try something new and different, but this recipe of baked shrimp with honey Jalapeno broke the trend and quickly became one of my favourites the first time I tried it out. It is so easy to make and quite crunchy. Chickpeas are unique but roasted chickpeas are simply amazing. You just have to mix well-dried cheese with olive oil and salt, plus other ingredients you prefer and then roast to your preference. The entire process will lend the peas a matchless salty taste. It is nutrient-packed and is a great source of folic acid, fibre, iron, manganese and protein. Versions are created with different ingredients like garlic cumin, sea salt, a tiny white pepper, honey, and cinnamon. This recipe is a sliced loaf of pesto focaccia that is spread with parmesan cheese and topped with sautéed onions, tomato slices, asiago, turkey and then brushed at the sides with olive oil and allowed to grill until grill marks appear on the bread….dashingly yummy! 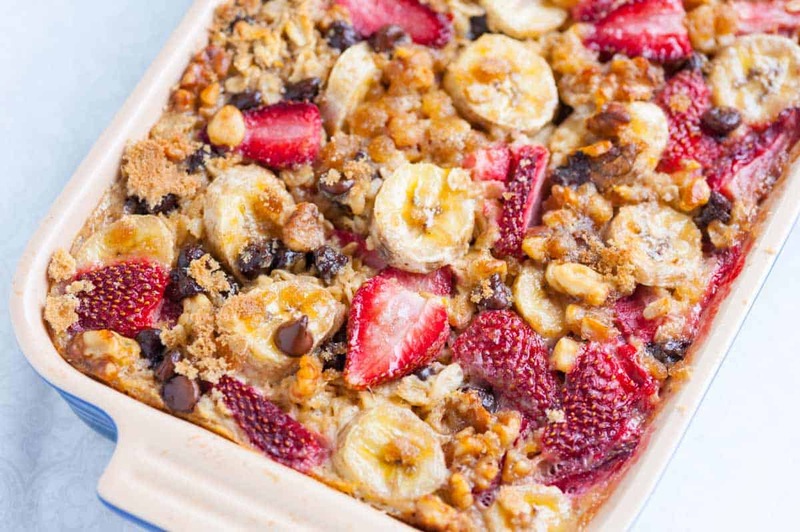 Strawberry banana baked oatmeal is a fun, fulfilling and delicious recipe that offers a new slant on the famed oatmeal. The recipe contains banana, strawberries, sugar, cinnamon and nuts all of which makes it a healthy alternative to traditional oatmeal. Its taste and texture also make up for the hearty dish. This delivers nutritional joy to me and is one of my biggest options. Why do I like it you may ask, the cake is packed with protein. Plus it is a wholesome option and titillates adorable taste. Doesn’t this look too gorgeous to be consumed? Indeed. I call it a parade of beauty. But look isn’t just the only thing going for this pizza, it is also a soul-soothing recipe that is very comforting and yummy. Feeling inventive? Add extra life to your Kiwis pop by adding nonpareils, cutely chopped nuts, shredded coconuts, or heart sprinkles over it. Or simply bite into plain Kiwis pop without decoration. The low-carb snack is tasty enough to cause refreshing addiction. Plus you don’t just get the sweetness but also a bonus of antioxidant properties from the fruit. For a healthier option, use dark chocolate. 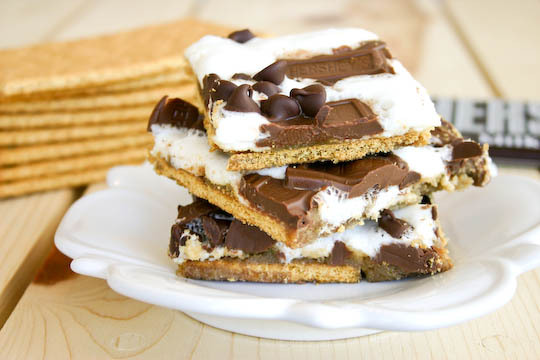 S’mores bars are awesome but this recipe takes its awesomeness to a whole new level. It includes thoroughly baking melted butter, and homemade brown sugar and then sprinkle with creamy, caramel before putting the mixture on top of a layer of crunchy graham crackers…that simple. Gorgonzola next to the flourish of shaved asparagus, this is a simple way to get a healthier pizza treat. The recipe is ideal for breakfast or lunch. And yes you don’t have to be a pizza addict to enjoy the hearty bite. What do you expect from a classic banana recipe? Nothing but perfection. The recipe is rich in flavour and adds to your fibre intake. There is a lot to like about this recipe; it is thrilling, fun and delicious, ideal for wowing the guests. The recipe takes a spin on what we think we can do with avocado hummus adding garlic, cumin, salt, a chopped red onion, Jalapeno or serrano pepper to create an irresistible flavour profile. Tacos or quesadillas filled with sliced brisket, Brie, Monterey Jack, and topped with a mango barbecue sauce, this recipe is a crowd’s favourite. The mouthwatering recipe features fresh ingredients which are healthy, cool, tangy, and crispy flavours.